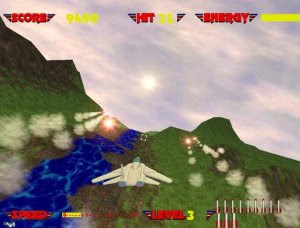 Afterburner 3D is an excellent fanmade remake of Sega's classic first-person shooter Afterburner. The game features excellent 3D graphics, great special effects, and even a nice soundtrack to round things off. Like Afterburner, your objective is simply to pilot a jet-on-rails and fire at anything and everything that crosses your field of view.